Paula Reid is an adventurer at heart; pushing herself to the limit and living life to the max. Paula talks about living life to the full and having a list of things to do before you die. Inspiring all sorts of people to do all sorts of things – no regrets! In a ground-breaking expedition in 2001, Paula paddled 600 miles down the Mekong River in a dugout canoe which she bought off a tribal chief in rural Cambodia. Paula hit rocks and rapids, capsized, cooked all her meals on a fire and got arrested at gunpoint! Paula has also paddled down the San Juan River in Nicaragua and kayaked the Thames from source to sea. 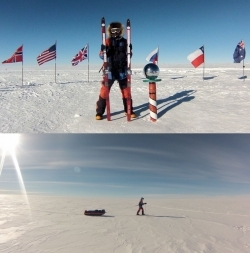 Paula Reid is only the 3rd British and 14th International Woman to Ski Full Distance to the South Pole (Messner route). This is a challenging 1000km trek through remote, freezing terrain. The trip meant pulling an 80kg pulk in one of the most hospitable environments of the world; uphill all the way, climbing 11,000 feet (3350 m) with temperatures below –40°C plus severe wind chill and storms. Paula was active 12 hours a day for 46 days, while also suffering from a severe case of 'Polar Thigh' which got steadily worse from Day 7. 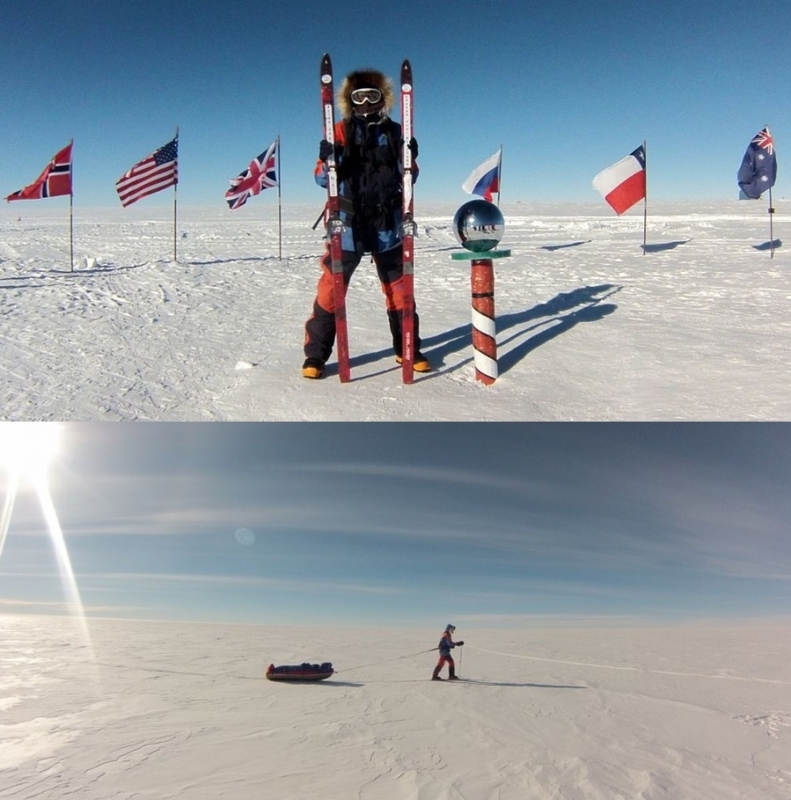 Paula had to have the physical ability to cover a minimum daily distance and the mental stamina to continue in extreme conditions when she was exhausted and in great pain. She believes the Polar Thigh made this extreme trip twice as hard and thinks she could not have continued for one more day. Paula Reid has also sailed around the world in the Global Challenge. As a core crew member of the Global Challenge World's Toughest Yacht Race, Paula raced 35,000 miles the 'wrong way' around the world, competing against 11 other 72' yachts. The race lasted for ten months, including 187 days at sea; 75 of which were spent in the notoriously freezing and dangerous Southern Ocean. Paula, with two months notice and no sailing experience, was immediately in at the deep end with a Force 8 gale and a man overboard within ten hours of the race starting! Then, in rounding Cape Horn, Paula and her crew had to perform two separate medical evacuations, spending a harrowing eight weeks battling the 40' waves and icy storms in the Southern Ocean; four crew down. Three weeks late and 3000 miles behind all the other boats they were greeted with a heroes' welcome in Wellington. Paula experienced some huge highs and huge lows during the Global Challenge. Her crew won the most awards and came out of it the toughest and closest team out of the 12. Personally, Paula had to dig very deep during the challenge and developed an inner strength, a determinedly competitive attitude and massive resilience and mental toughness. All this with NO sailing experience! Paula Reid has been to 56 countries and achieved 108 of her 'things to do before she dies' including: fire walking; glacier trekking; Hadrian's Wall; the London Marathon; walking from coast-to-coast; trekking in West Papua; snorkeling; great white shark diving... and many more!